In the classroom of international security, Australia remains an infant wanting attention before the older hands. During the Paris Peace talks, Prime Minister William Morris (“Billy”) Hughes screamed and hollered Australia’s wishes to gain greater concessions after its losses during the Great War, urging, among other things, a more punitive settlement for Germany. In the post-September 2001 age, recognition comes in different forms, notably in the field of terrorism. 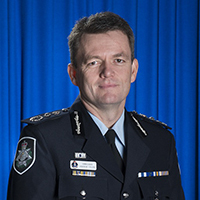 Australian authorities want recognition from their international partners; Australian security services demand attention from their peers. The premise of this call is simple if masochistic: Australia is worth torching, bombing and assailing, its values, however obscure, vulnerable before a massive, inchoate threat shrouded in obscurantism. 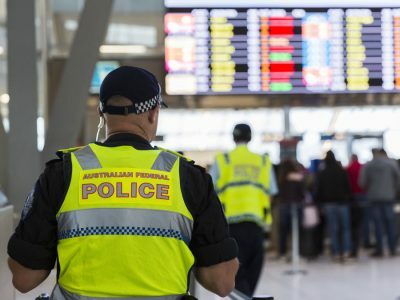 Over the weekend, the security services again displayed why adding fuel to the fire of recognition remains a burning lust for the Australian security complex. The inner-city suburb of Surry Hills in Sydney, and the south-western suburbs of Lakemba, Wiley and Punchbowl, witnessed raids and seizures of material that could be used to make an improvised explosive device. What was notable here was the domesticity behind the alleged plot. Focus was specific to Surry Hills in what was supposedly an attempt to create an IED involving a domestic grinder and box containing a multi-mincer. At stages, those with a culinary inclination might have been confused: were Australia’s best and brightest in the frontline of security getting excited about the ill-use kitchen appliances might be put to? The arrest provided yet another occasion Australian audiences are becoming familiar with: individuals arrested and detained, usually with no prior convictions let alone brush with the law, while the celebratory stuffing is sought to file charges under anti-terrorism laws. But this was not a time for ironic reflection. Australians needed to be frightened and reassured, a necessary dialectic that governments in trouble tend to encourage. First, comes the fear of death, launched by a sinister fundamentalist force; then comes the paternal reassurance of the patria: those in blue, green and grey will protect you. Depending on what you scoured, reports suggested that this was a “non-traditional” device which was set to be used for an “Islamist inspired” cause. The usual cadre of experts were consulted to simply affirm trends they could neither prove nor verify, with the “lone wolf” theme galloping out in front. For Panahi, this was a case that was done and dusted. These were “wannabe jihadis” (dead cert); they had plotted to inflict “mayhem and destruction on Australian soil” (naturally) and Australians needed to understand that an ungainly super structure of intrusive security measures were indispensable to security. Thank the counter-terrorism forces, luck and distance. Such occasions also provide chicken feed for pecking journalists, many of whom have ceased the task of even procuring their beaks for the next expose. Indeed, some were crowing, including one on ABC 24, that the “disruption” of an “imminent” attack had taken place at speed; that this “cell” had little chance of ever bringing their device to an aircraft. Evidence and scrutiny are ill-considered, and the political classes are permitted to behave accordingly. The Border Protection Minister, Peter Dutton, never happy to part with anything valuable on the subject of security, refused to confirm whether there had been an international dimension, a tip-off from intelligence agencies, or assistance. He observed that there was “a lot of speculation around” which he did not wish to add to. He need not have bothered, given that the opinion makers have formed a coalition of denial and embellishment so vast and enthusiastic so as to make Australia matter in the supposed global jihadi effort. It would come as a crushing disappointment to the infant in that room of international relations to realise otherwise.